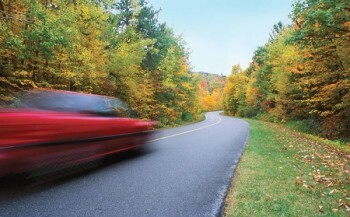 Autumn is a great time to embark on road trips and take in the awesome spectacle of fall foliage. Come autumn, thousands of motorists take to the highways and backroads to experience the ever-changing landscape made beautiful by leaves changing colors. Fall foliage road trips make for a fun way to spend a weekend afternoon. With cameras in hand and provisions at the ready, motorists can make the most of their next fall foliage road trip. • Know when to go. Learn the best times of the year to see the peak leaf colors. Mountainous regions and many located in northern latitudes will see changes in leaf color earlier than other regions. 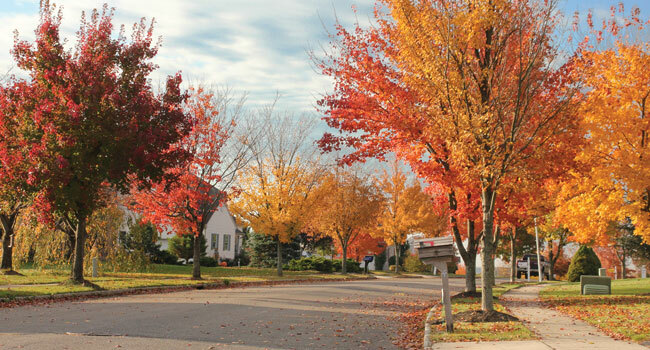 Drivers living in certain areas of Canada, regions of the Rocky Mountains or in particular parts of New England can expect to witness leaves changing color as early as September, while much of the midwest can expect peak color in mid- to late-October. Southern regions may not see leaves change color until November. • Aim for a weekday. 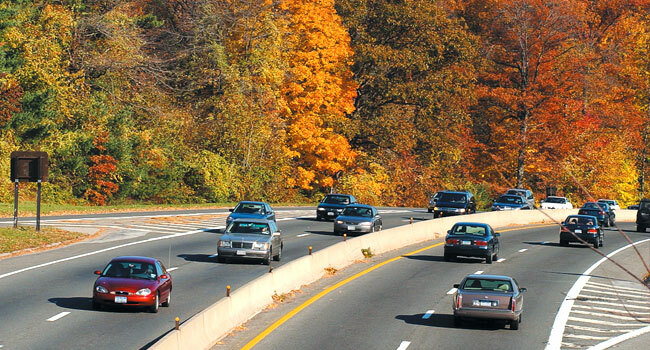 Many people plan fall foliage road trips on the weekend. These "leafers" or "peepers," as they're sometimes referred to, flood normally empty rural areas and can easily cause traffic jams. Schedule your own trip for a weekday so you can avoid most of the crowds and enjoy a more serene environment for hiking excursions or countryside visits. • Book accommodations early. If you plant to stay overnight, book your trip as early as possible and don't be surprised if costs are high. Autumn is not only a peak time for leaf color changes, but also it's a prime time for vacationers interested in comfortable temperatures and amazing scenery, so autumn lodging rates may be equal to or exceed the rates charged during the height of summer vacation season. Verify room rates and openings well in advance if you have your heart set on staying in prime leaf color country. • Employ a few tricks of the photography trade. Fall foliage may be at its most vibrant at sunrise and sunset when the sun is low in the sky and will not cast much glare. Slightly overcast days also may help leaves' colors pop, but too much cloud cover may cause a lack of vibrancy in leaf color. • Watch the weather. Autumn weather can be unpredicable. Some days it may be crisp, while other days it will be hot. Sometimes you may experience hot and cold weather on the same day. Dress in layers so that you can be comfortable and shed or add layers as necessary. • Explore different spots. Do not take the same route or visit the same towns each year. Vary your trips to experience a greater range of autumn magic. From the eastern seaboard to the Rockies, explore as many awe-inspiring palettes of fall colors as possible.